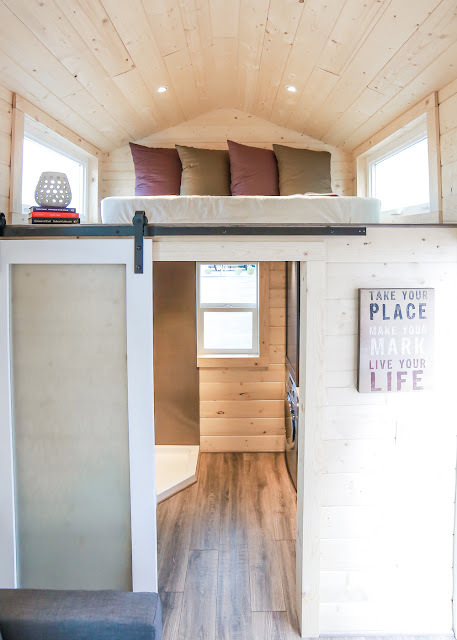 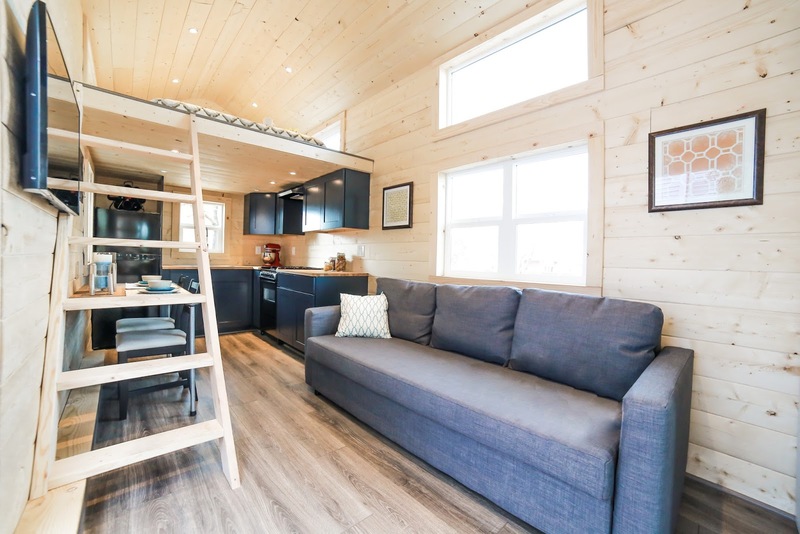 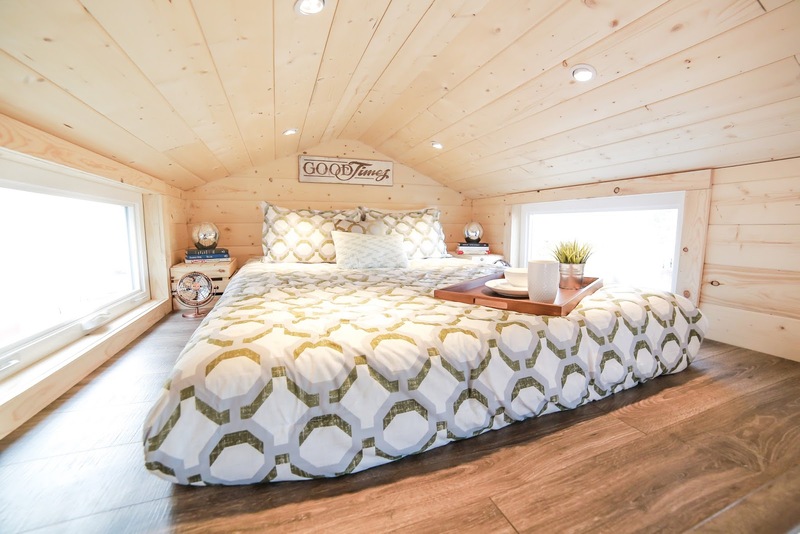 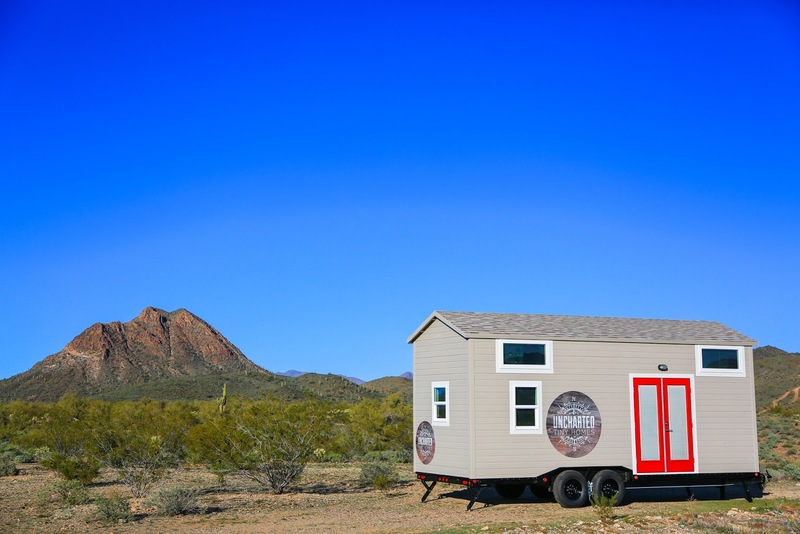 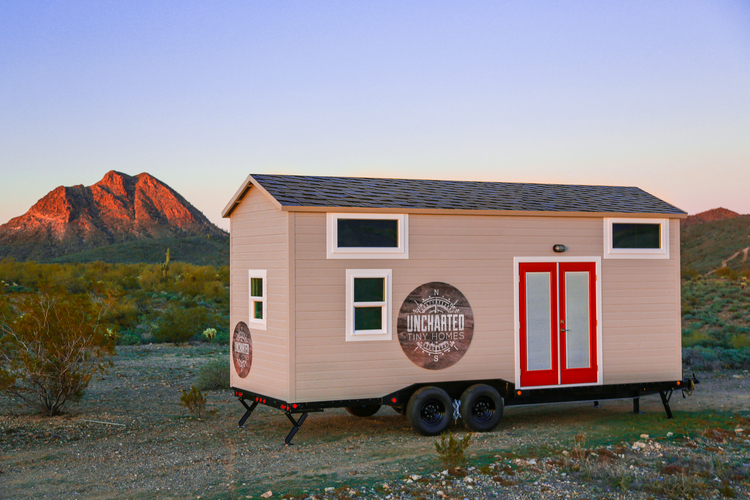 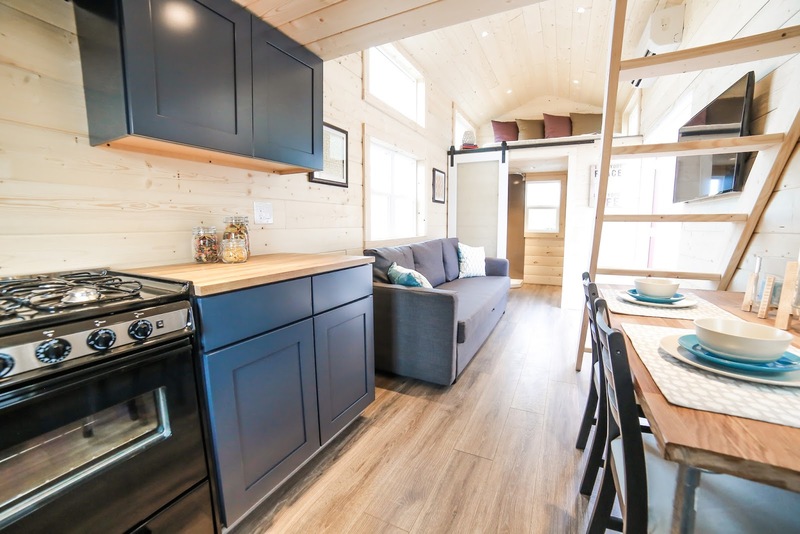 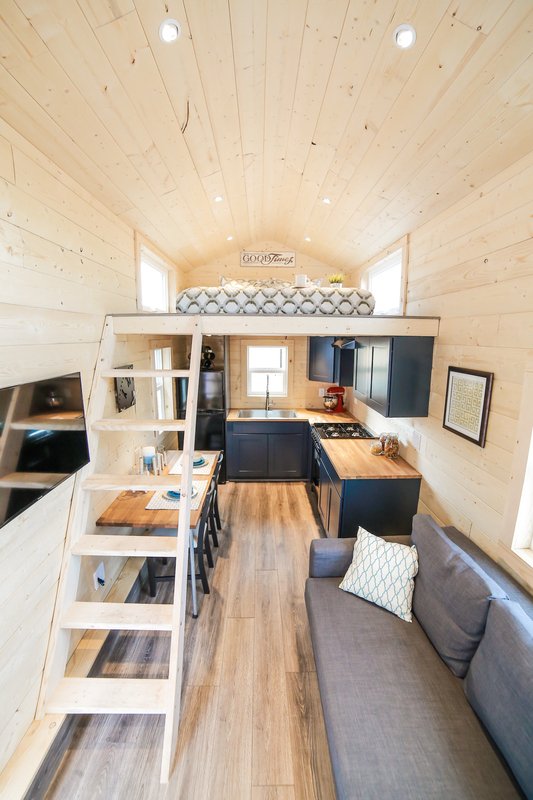 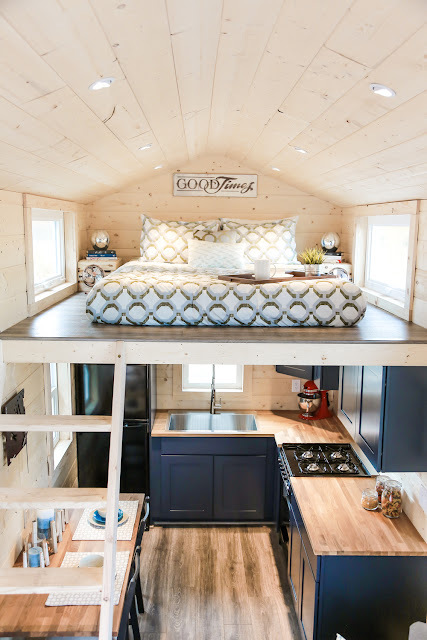 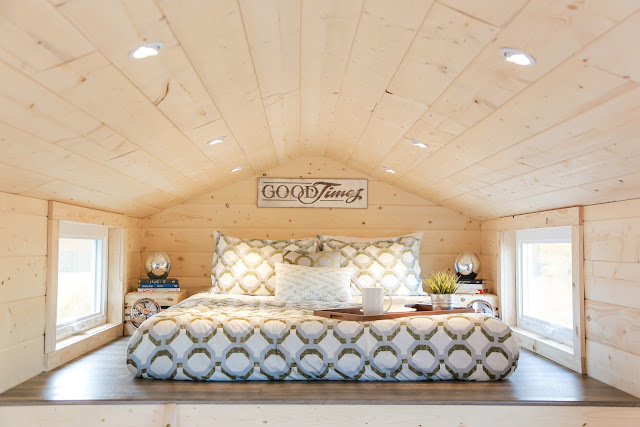 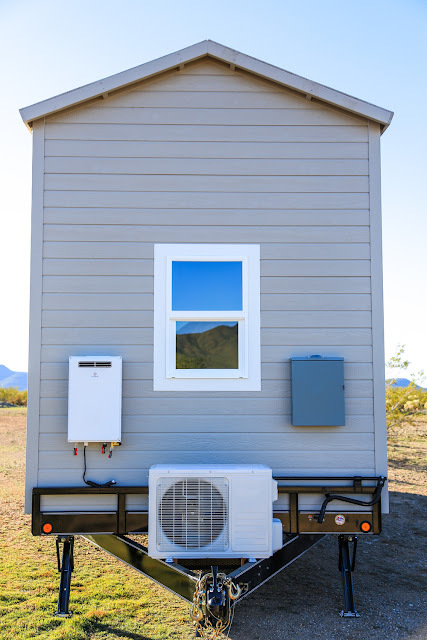 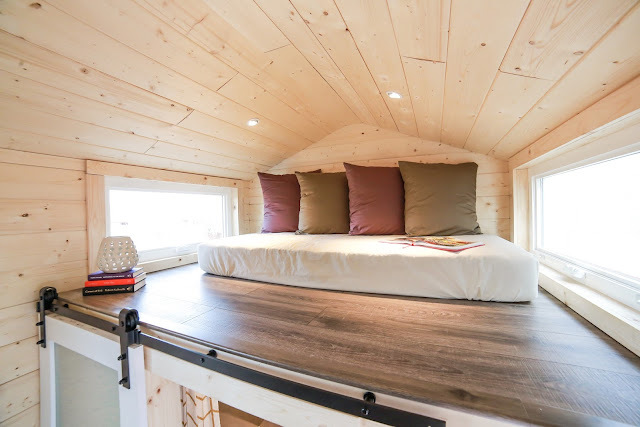 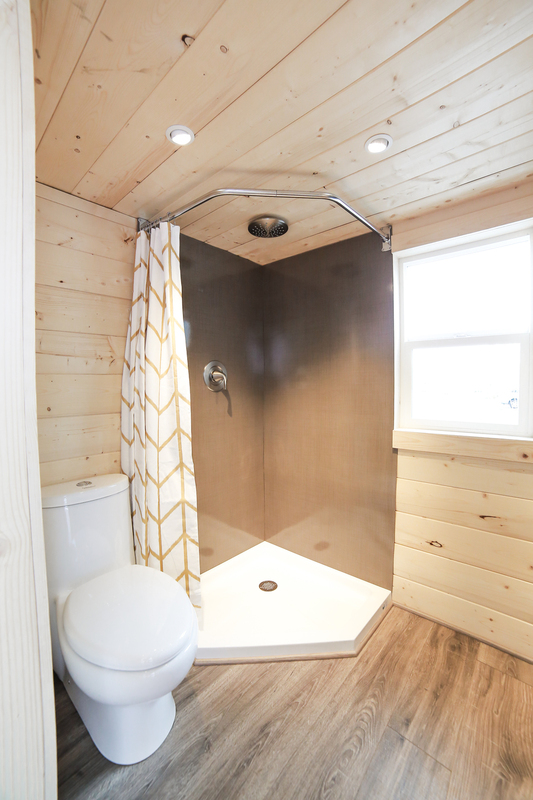 This stunning tiny house on wheels is designed and built by Uncharted Tiny Homes of Phoenix, Arizona. 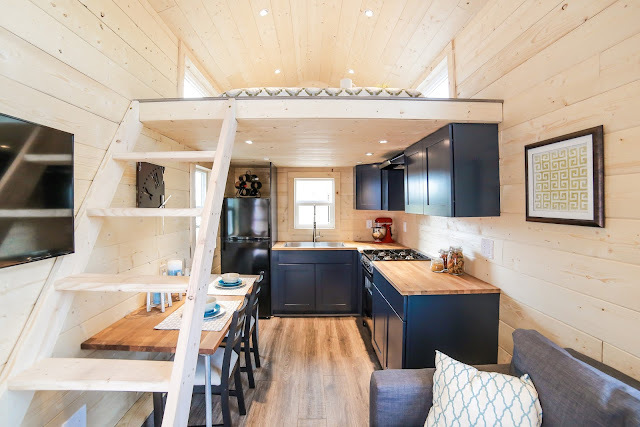 Aptly named “the Mansion”, the home is definitely among the nicest tiny homes currently available on the market. 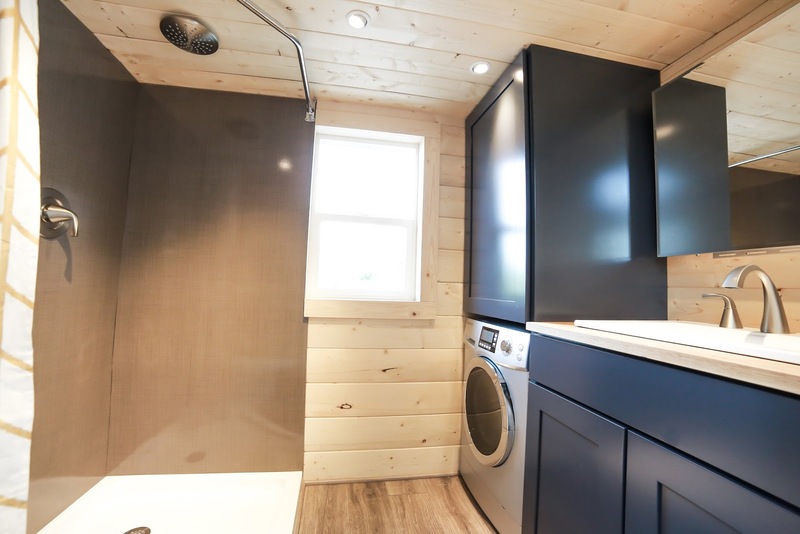 The home’s bright interior features a relatively spacious kitchen, dining area, a living room space, a bathroom, and two loft spaces (one bedroom, the other for storage or a second bedroom). 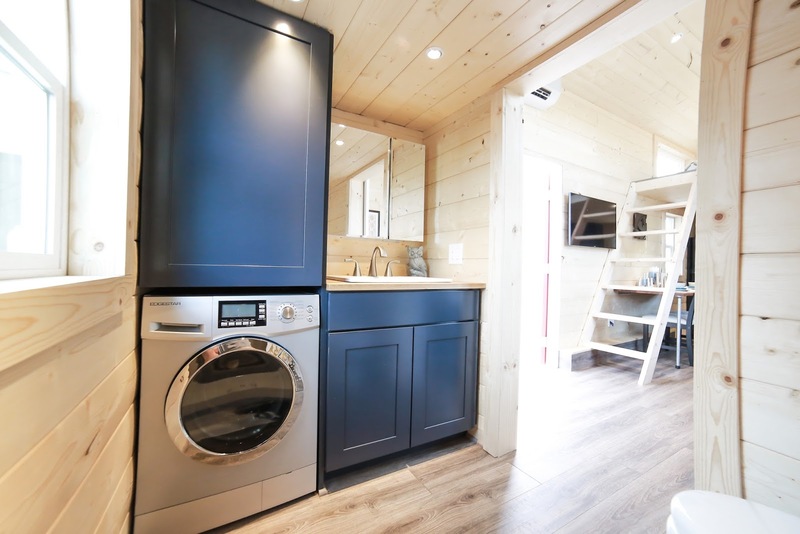 There’s also a refrigerator, a four-burner stove and oven, and a washer/dryer combination. 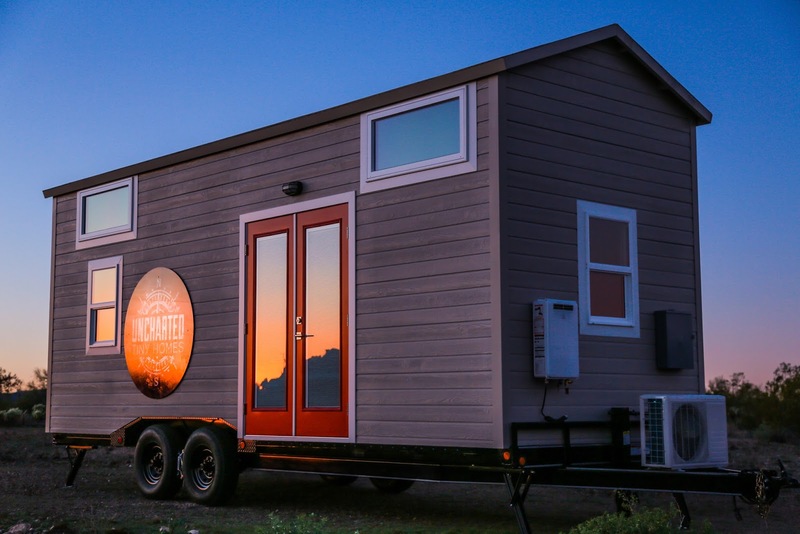 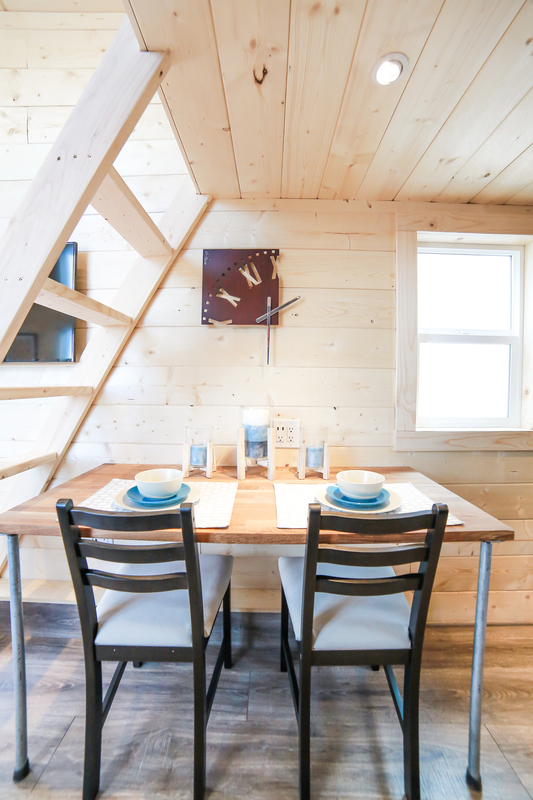 The 270 sq ft home is currently available for sale at $50,000.